Everything was clean, service was exceptional, producing was competitive! I was in the situation where I had to put a bunch of my belongings out front by the gate while I was waiting for the lady to get back from lunch and it was absolutely no problem. Also instead of making me all the way around to the other side of the building through the gate pushing a dolly she disabled the fire alarm so I could open up the side door on the building to make it that much more easier for me to access my unit. We just moved in this week and the service was great! Unfortunately, I donât remember reps name that helped me but she was very professional and helped me into the storage that fit my needs. At a great price! Very nice people. Easy to sign up and good access. thanks to spare foot I was able to get this fast.perfect unit . perfect spot .so easy on the second floor .in and out in 30 minute full loads.clean and efficient . Great experience, price was the best that I have found. 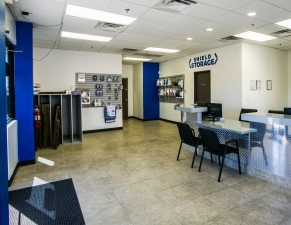 I would like recomend this self storage to everyone! Exelent customer service, very clean and safe place. Buen precio, exelente servicio al cliente y un lugar muy seguro. Mr. John offered above and beyond customer service. It was almost time for his shift to be over. My situation caused himnto be there 30-40 mins past his shift. He did not complain. He made sure everything was taking care and handled properly. He made sure I was not being over charged for my unit. Awesome dude. All worked out as scheduled. Great customer service. Unit was clean when I moved in. Gate worked fine also. No issue during move-in. Love the place, it's not huge, easy to access and I feel my belongings are safe. Serena was great! She was courteous and professional ! The office manager was very nice and helpful. It was a good deal getting the admin fee waived and a free lock. 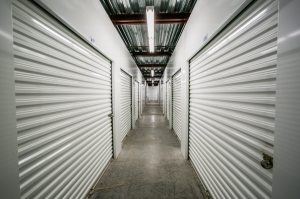 But as with most storage facilities it was not the price as advertised due to their must have renters insurance provided by them. So even though the first two months are actually at 50% off Iâm still paying about 20$ more than advertised. But it was the best deal I could find and afford. Rental agent was friendly and went out of her way to find us a convenient unit since we are both elderly. Great service! Everything went smooth and the unit was the perfect size. Very good experience. The best storage place Iâve ever seen. I had searched for a storage unit a few days. I was amazed by the rates that I received. I also appreciate the rebate that will be given to me as Amazon gift card. I like getting some money back from my fees. Customer service was great and friendly. 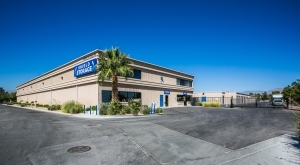 Great staff, extremely clean property, gated with keypad for the storage patrons. They offer, climate control units. I highly recommend, this storage facility. I will be referring my family & friends to this location! The entire process was really simple! I called in, told them what I wanted and at what price, and they found what I was looking for. I did have to buy a new $42 lock in order to confirm the price of a $25 waived admin fee and half off 3-months of storage fees, so the deal met my short-term needs. With such a deal, I'd patronize again.